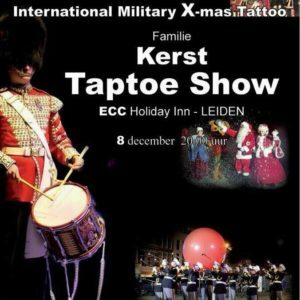 On 8th December, Emma will be the guest vocalist at the Leiden International Military Christmas Tattoo. She will sing with the Band of Liberation, K&G, and the Band and Drums of the Cheshire Constabulary. 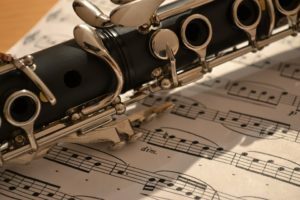 The tattoo features several international orchestras, Irish dancers, an Indonesian show, and young violinist Pouya Azimi. There is an afternoon performance at 14:30 for people living with disabilities. 8th December, 2018, 20:00, ECC Holiday Inn, Leiden, the Netherlands. 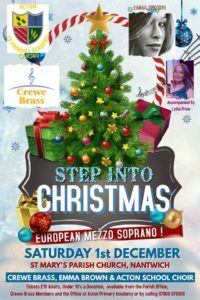 Emma will join Crewe Brass, Acton Academy Choir, and Lydia Price for a Christmas concert at St. Mary’s, Nantwich. It will be a mixed and festive programme. The concert will be broadcast live to Leighton and North Staffordshire Hospitals. Saturday, 1st December, 2018, 19:30, St. Mary’s, Nantwich, United Kingdom. Tickets priced £10 (adults) and £8 (concessions) are available through +44 7866 076926. 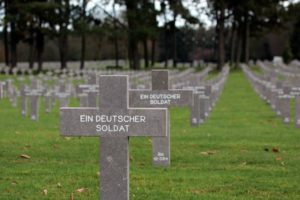 Germany remembers her fallen service men and women on the third Sunday of November. Emma is honoured to have been invited to sing for the German remembrance in Ysselsteyn German War Cemetery in the Netherlands. The cemetery in Ysselsteyn is the largest German war cemetery in the world, covering over 70 acres. It is the final resting place of over 31,500 service men, most of whom died during the Second World War. There are also 85 soldiers from the First World War. The Facebook ‘event’ can be found via this link. 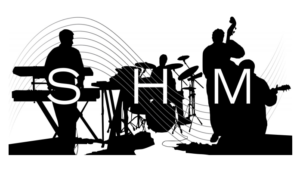 Simple Harmonic Motion are a three-piece band specialising in contemporary classical music and the new age genre. They present music and animations in churches across Europe. Emma is delighted to join them as a guest vocalist for two concerts. Friday, 16th November, 21:00 – Hooglandse Kerk, Leiden, the Netherlands. Saturday, 17th November, 20:30 – Eusebiuskerk Arnhem the Netherlands. Both concerts are free and unticketed. The railway carriage in which the armistice was signed. One hundred years ago, at 11:00 on 11th November 1918, the guns of the First World War fell silent. 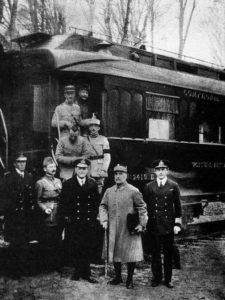 The armistice had been signed in a railway carriage in the Forest of Compiègne. To mark the centenary of the armistice, Emma will sing during the Royal British Legion’s ceremony in the Somme at the CWGC Thiepval monument to the missing, just an hour from the very spot where the armistice was signed. She will then travel to Belgium to sing at CWGC Tyne Cot cemetery, the largest British and Commonwealth cemetery in Belgium, and at the memorial to the tank crews in Poelkapelle. Emma will help guide six pupils from her former primary school, Nottingham Girls’ High School, who will be visiting France and Belgium to learn more about the First World War and to experience remembrance ceremonies. 10:00 for 11:00 – Royal British Legion ceremony at Thiepval Memorial, France, with the Band of the Hampshire Constabulary. 15:30 – CWGC Tyne Cot, Belgium, with the West Yorkshire Police Band. 17:00 – Tank Memorial, Poelkapelle, Belgium, with the West Yorkshire Police Band. 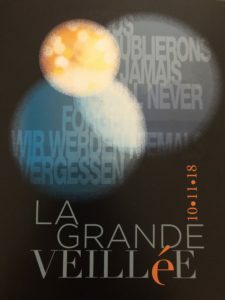 On 10th November, the eve of the centenary of the First World War armistice, the communities of Pays d’Artois in Northern France will light up all of the local war cemeteries, in a symbolic gesture bringing light to those who did not live to see the sun rise on a peaceful continent. 274 remembrance sites within the four communities of the Pays d’Artois will be lit up with candles and luminous balloons. Emma is honoured to have been invited to sing during the opening ceremony at Faubourg d’Amiens Cemetery and the Arras Memorial. 2,688 headstones will be illuminated in this CWGC cemetery. 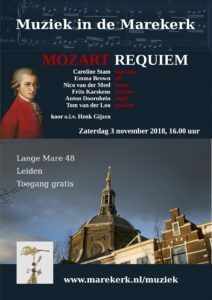 Emma will sing the alto solos in Mozart’s Requiem in the Marekerk, Leiden, the Netherlands, with conductor Henk Gijzen. Mozart wrote the Requiem in Vienna in 1791: he died before he was able to complete it. The work was completed in 1792 by Franz Xaver Süssmayr. Free entrance with a collection after the concert. Saturday, 3rd November, 16:00, Marekerk, Leiden, the Netherlands. 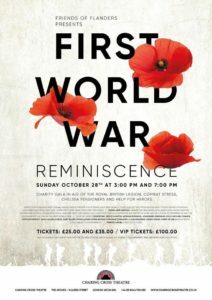 The organisation “Friends of Flanders” has arranged a charity gala at Charing Cross Theatre, London, to raise money for veterans charities including The Royal British Legion, Combat Stress, Chelsea Pensioners, and Help for Heroes. Emma will sing ‘I vow to thee my country,’ ‘Jerusalem,’ and ‘Tell My Father’ and participate in a premiere of a new work by singer-songwriters Dan and Laura Curtis. On 27th October, Emma will sing during a ceremony at the American Cemetery in Belgium, “In Flanders Fields” to mark the one hundredth anniversary of American Operations in Belgium during the First World War. There are 368 burials at “In Flanders Fields” cemetery, and a wall commemorates the 43 missing. Emma will sing with the SHAPE (Supreme HeadquartersAllied Powers Europe) Band. Her repertoire includes Jacobson and Emerson’s setting of John McCrae’s poem “In Flanders Fields,” arranged for Emma and the Orchestra of the Royal Belgian Air Forceby Deputy Conductor Dominique Lecomte. The event is free and open to the public. For more information, please click here.